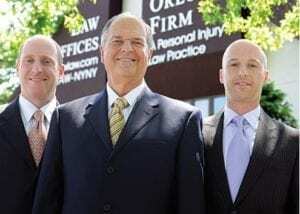 Contact our Brooklyn, NY law firm today to speak with an experienced Brooklyn rear end collisions attorney. Rear end accidents in Brooklyn typically occur because one car comes to a stop and the car behind it does not react in time to avoid a collision. Rear end accidents are common at stoplights, intersections and on freeways where the flow of traffic stops and starts suddenly. Have you or a loved one been injured in a rear end collision in Brooklyn? If so, contact our New York car accident lawyers today for information regarding your legal rights.